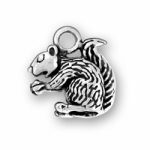 This adorable Sterling Silver Large Rabbit Charm is a must for every Easter charm bracelet. 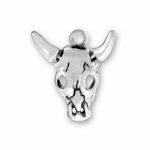 Combines nicely with some of our other Sterling Silver Easter Charm. 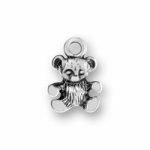 Celebrate this Easter with out Sterling Silver Large Rabbit Charm and add this charm to your charm bracelet. Give the gift of our Sterling Silver Large Rabbit Charm to any Easter egg this year as the perfect gift to be found on Easter. Give the gift that is not expected by hiding charms or a charm bracelet inside of Easter eggs this year! 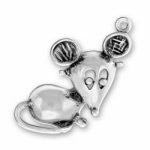 Create the perfect charm bracelet or purchase individual charms to add to the charm bracelet by shopping our Sterling Silver Charms. Celebrate Easter or your love of Rabbits with our Sterling Silver Large Rabbit Charm and create the prefect charm bracelet. 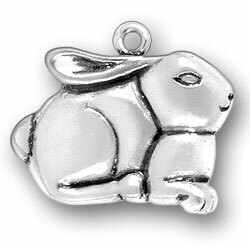 Our Sterling Silver Large Rabbit Charm is made with .925 Sterling Silver and our charm is manufactured right here in the United States. Do you have a love of Rabbits or bunnies or know of someone that does? Give the gift our our Sterling Silver Large Rabbit Charm as the perfect gift for a holiday or birthday.